Since its inception in 1989, the MOSTYN Open has nurtured and presented the talent of established and emergent contemporary artists internationally. The exhibition of selected works takes place at MOSTYN, with a cash prize of GBP 10,000 awarded to a single artist or collective. In addition, the ‘Audience Award’ grants a cash prize of GBP 1,000 to those who receive the most votes from visitors during the exhibition. New, for MOSTYN Open 21, the Exhibition Award will award an exhibition at MOSTYN to the artist/collective that the selectors feel would most benefit at this point in their career. MOSTYN, Wales UK is delighted to announce the call for submissions for the 21st anniversary edition of the MOSTYN Open contemporary art exhibition, to be shown from July 2019. Audience Award: £1,000 The NEW ‘Exhibition Award’ will award an exhibition at MOSTYN to the artist/collective that the selectors feel would most benefit at this point in their career. And, of course, the visiting public for the ‘Audience Award’. We refer to images, or the act of creating images, to act socially, politically and even privately. As a consequence of the digital age of photography, the way we are involved in image making is continuous:we can confer it a specific professional or artistic function, or embed it in they way we shape our existence. When digital images are imposing themselves as a visual translation of the self, the understanding of photography is striving to go away from standard representational practices. Images compose a visual timeline, comparable to a textual linear narrative, where the grammar is made of our shopping lists, chats, social media’s comments or work emails. Although these images are not coherent when considered together and are produced for different reasons, they become knowledge ‘chunks’ that visually translate different contexts into what we wish others to think of us. They can therefore be understood as a pictorial alphabet, where the possibilities of communicating are infinite and universal, freed from constraints related to textual translation. The result is a flow of visual forms and meanings that are interchangeable, independently from the situations in which they were generated and consumed. The 2017 “Gjon Mili” Biennial & Award wants to query this hypothesis; focusing on image-making in the digital era, it wants to test if ‘visual authorship’ today is still associated with holding a specific position through the idea of representation, or rather is about delving into an ever-changing process that never produces a ‘finished’ work to display. Application form ( available at the NGK or by emailin grequest at info@galeriakombetare.com), portfolio and biography.
. The most successful work will receive “Gjon Mili “award in value of 1000 euros. MOSTYN OPEN 18: Last 5 days to register! SELECTING JURY for £10,000 PRIZE: Maria Lind, Director of Tensta Konsthall, Stockholm; Ryan Gander, Artist; Adam Carr, Curator of MOSTYN; Alfredo Cramerotti, Director of MOSTYN. SELECTING JURY FOR THE £1,000 PRIZE: You, MOSTYN visiting audience for the ‘People’s Choice’. 30th July 2012 – Deadline for payment of £25 entry fee and receipt of completed registration form. 6th August 2012 – Closing date for submission form together with images of artwork by email. Please visit www.mostyn.org for full details and terms and conditions. Since its inception in 1989, the Open has functioned as a call-out to artists of any age, geographical background and residing place to enter, with an exhibition of the selected artworks taking place at MOSTYN, and a prize of £10,000 awarded to a single artist or collective. While continuing in this tradition, the 18th edition will also bring a fundamental addition. A prize of £1000 will be given to the ‘People’s Choice’, which will be determined by the artist or collective who receives the most votes from the visiting public during the exhibition’s run. In doing so, the questions that will be raised, and central to this renewed edition, are: How do we examine and judge works of art? What criteria do we bring to perceiving, interpreting and understanding artwork? What really makes our favourite? 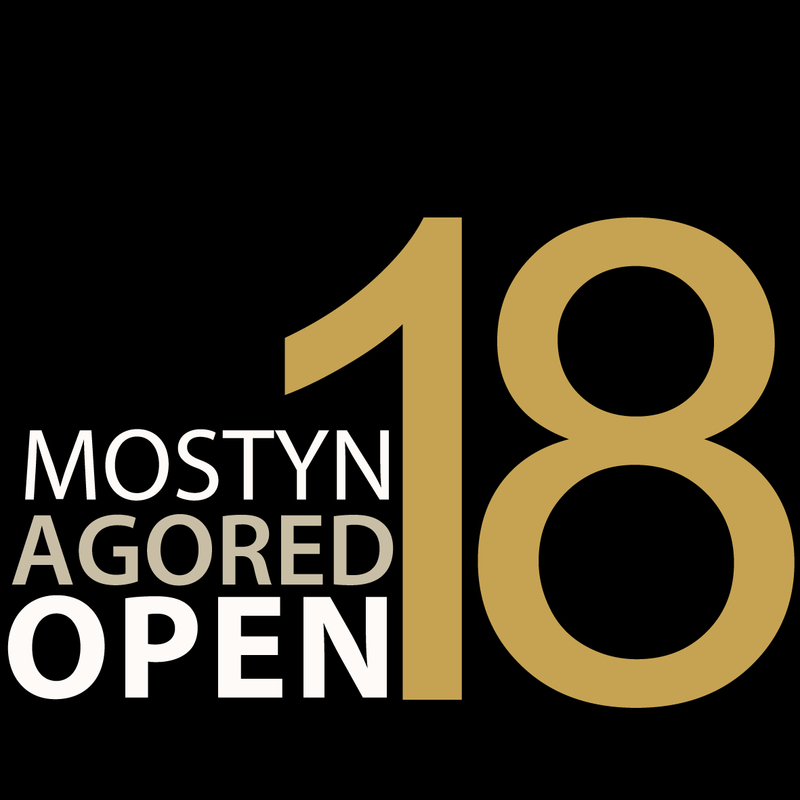 MOSTYN | Wales is delighted to announce MOSTYN Open 18. Since its inception in 1989, the Open has functioned as a call-out to artists of any age, geographical background and residing place to enter, with an exhibition of the selected artworks taking place at MOSTYN, and a prize of £10,000 awarded to a single artist or collective. While continuing in this tradition, the 18th edition will also bring a fundamental addition. A prize of £1000 will be given to the ‘People’s Choice’, which will be determined by the artist or collective who receives the most votes from the visiting public during the exhibition’s run. In doing so, the questions that will be raised, and central to this renewed edition, are: How do we examine and judge works of art? What criteria do we bring to perceiving, interpreting and understanding artwork? What really makes our favourite? The selectors for Mostyn Open 18 are, Adam Carr, Curator of MOSTYN; Alfredo Cramerotti, Director of MOSTYN; Ryan Gander, Artist; and Maria Lind, Director of Tensta Konsthall. And you, the visiting audience, for the ‘People’s Choice’. 16th July 2012 – Deadline for payment of £25 entry fee and receipt of completed registration form.